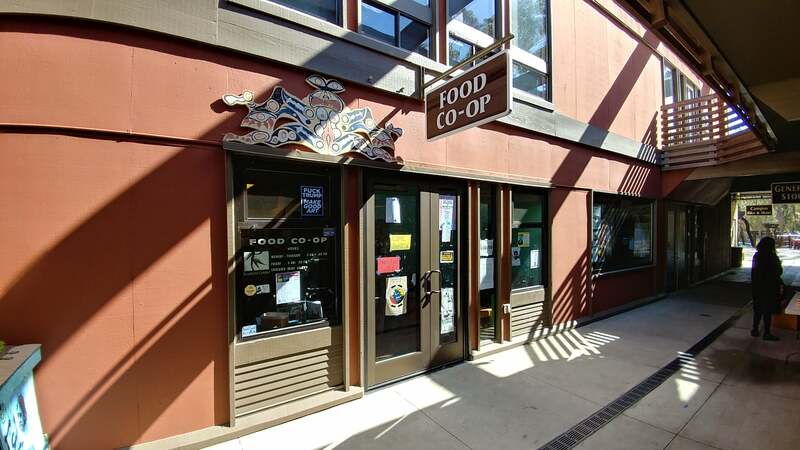 The UC San Diego Food Co-Op reopened on Monday and is seeking volunteers. The collective is entirely student-run and serves inexpensive vegan food to anyone on campus. It is located in the Old Student Center across from Groundworks Bookstore. A number of volunteers and alumni made efforts to renew interest in the Co-Op’s activities after it closed down several weeks ago due to lack of funding, according to member Tom Corningham. The volunteers hosted a food workshop three weeks ago for members of UCSD’s Vegetarian Club, where students learned to make vegan tuna in the Co-Op’s kitchen. The Co-Op also strengthened its social media presence on Facebook and Instagram. Sophomore Enrique Chitica began volunteering at the Food Co-Op during fall quarter. Another benefit is that student volunteers get discounts on food, he added. Most of the produce used at the Co-Op is from fruit and vegetable gardens at UCSD, according to Corningham, but the Co-Op is aiming to earn a steady income in the future to purchase more fresh produce and consistently make inexpensive, healthy food for students. “$5 All-You-Can-Eat” lunches are regularly sold at the Co-Op on Wednesdays. The facility also hosts brunch events at Groundworks Bookstore and other locations. During off hours, the restaurant serves as a laid-back space for students to study and enjoy their free time. They are currently hiring core members, who volunteer for eight to nine hours a week. Volunteers can sign up by filling out a sign-in sheet at the entrance. The Co-Op is open on Tuesdays from 1 p.m. to 6:30 p.m., Wednesdays from 2:30 p.m. to 6 p.m. and Fridays from 3 p.m. to 5 p.m. Students can support the Co-Op on Facebook and Instagram at @UCSDFoodCoop.